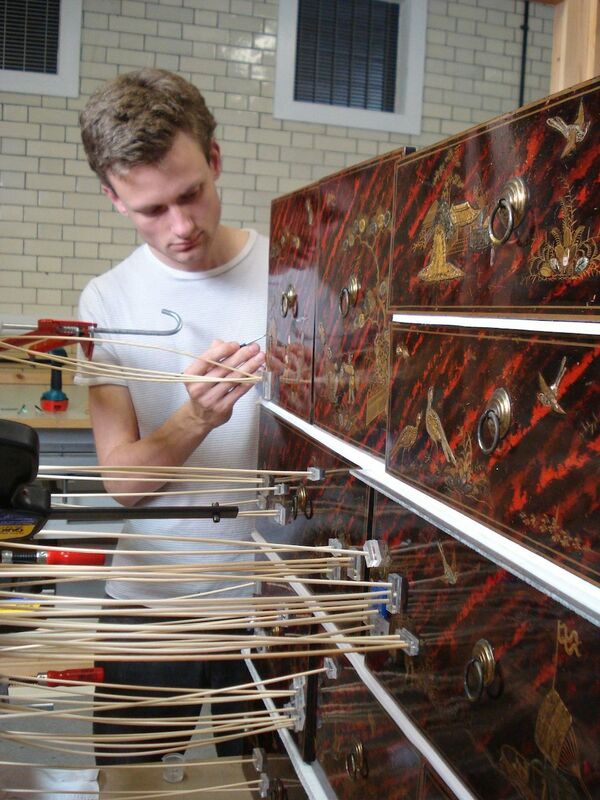 Tristram left West Dean with a MA in Conservation Studies, with a focus on furniture and related decorative arts. The structure of the course was flexible and allowed Tristram greater opportunity to control the direction of study. This enabled him to study the “traditional Japanese technique of using urushi lacquer” and to give informal presentations on it to other students. He also worked on an Indian ivory plated bird, a Chinese lacquer “boat clock” and an extremely ornate mosaic Syrian games table. At the end of the year Tristram went to a conference on adhesives in Canada where he gave a presentation on a technique he had developed while at West Dean. Tristram now works at the V&A and also contributes to the teaching at West Dean and, since 2014, he has been a Trustee of the Anna Plowden Trust.